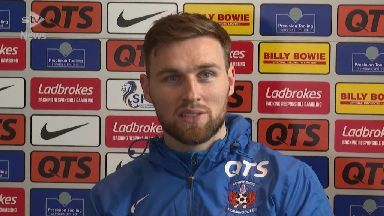 Stephen O'Donnell wants Kilmarnock to do everything they can to persuade manager Steve Clarke to stay for another season. The Killie boss, who arrived in October 2017, was quoted in a newspaper interview this week saying he would make his mind up about his future in the summer and did not rule of out staying at Rugby Park. The Ayrshire club have secured a top-half finish under Clarke for the second successive season and sit in third place ahead of the visit of St Johnstone on Saturday. A victory will take Kilmarnock one point off last season's best-ever Premiership total of 59 points with five post-split fixtures remaining, keeping them on course for European football next term. Scotland international full-back O'Donnell said: "We will see how we have done at the end of the season as a club and hopefully it will be enough to encourage the manager to stay. 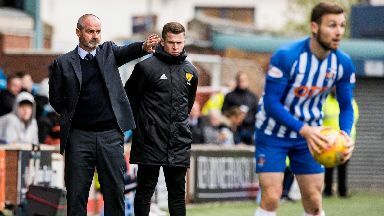 "All we can ask for is Kilmarnock does everything they can, we know the fans support him massively and, as long as the club does everything, the manager's decisions are his decisions. "A lot of the decisions I think are family-based. I don't think it will have a massive bearing on his decision." O'Donnell believes Clarke's legacy at the club is already assured. The former Partick Thistle and Luton Town defender said: "We were struggling at the bottom of the league and two seasons in a row he has got us in the top six.